Possibly no comparable area on earth displays as many varieties of weather simultaneously as the San Francisco Bay Region. Harold Gilliam explains the atmospheric forces and geologic formations that come together in this region's unique confluence of wind, river, ocean, bay, and hills. The fully revised and updated edition of this best-selling book incorporates the latest scientific information--much of it gathered from satellite technology--that has greatly improved our understanding of the weather in the years since the book was first published. 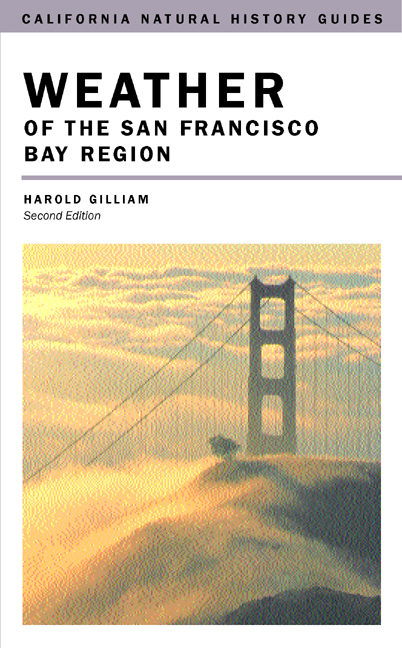 Writing in a delightfully engaging style, Gilliam provides the tools necessary for understanding the grand show of nature that takes place around the San Francisco Bay--from Napa Valley in the north to San Jose in the south. 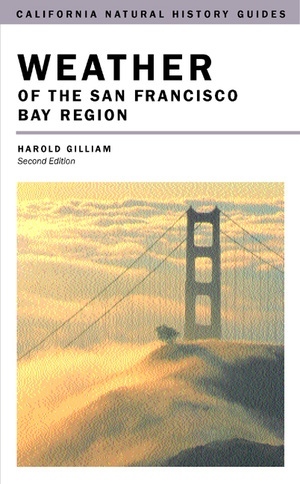 Using nontechnical language to define weather terms and the general principles needed to understand weather patterns, Gilliam explains such phenomena as the jet stream, the famous summer fog that pours over the Golden Gate Bridge, and the often dangerous winter tule fog. This edition also includes a discussion of the planetary influences that may cause long-term changes in the local climate: Gilliam explains the "greenhouse effect" and what global warming could mean for the San Francisco Bay Area, looks at the local effects of the El Niño and La Niña phenomena, and considers the thinning of the ozone layer. This fascinating book, enhanced with informative maps, diagrams, and color illustrations, is liberally sprinkled with references to Bay Area neighborhoods and geographic features, giving the book a lively sense of local color. Harold Gilliam is a former environmental columnist for the San Francisco Chronicle. His previous books include The San Francisco Experience (1972), Above Yosemite (1983), and Above Carmel, Monterey, and Big Sur (1994).